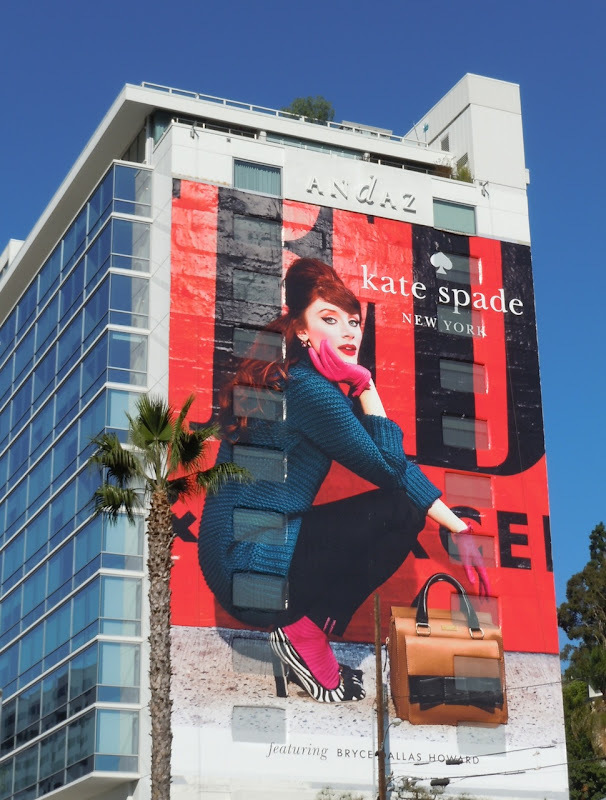 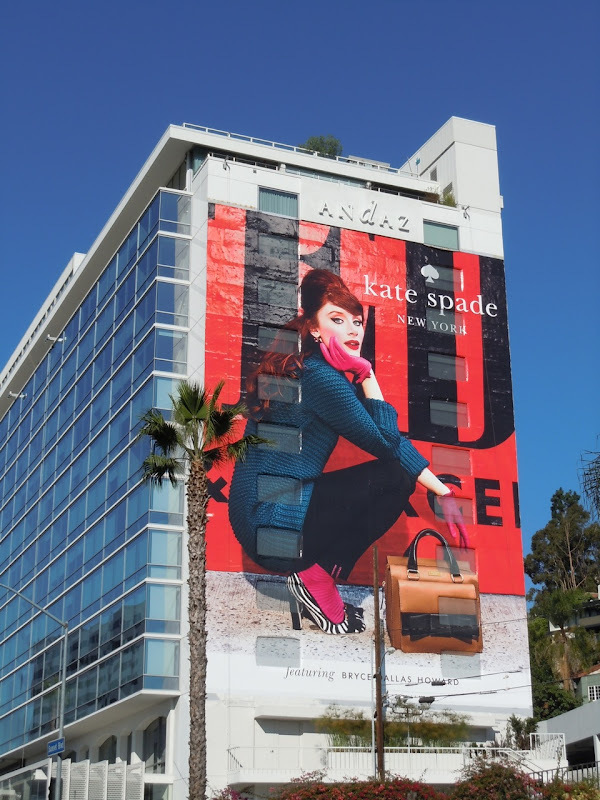 Fashion brand Kate Spade New York is back on L.A's Sunset Strip making a bold style statement for Fall, with another striking super-sized billboard featuring Bryce Dallas Howard. 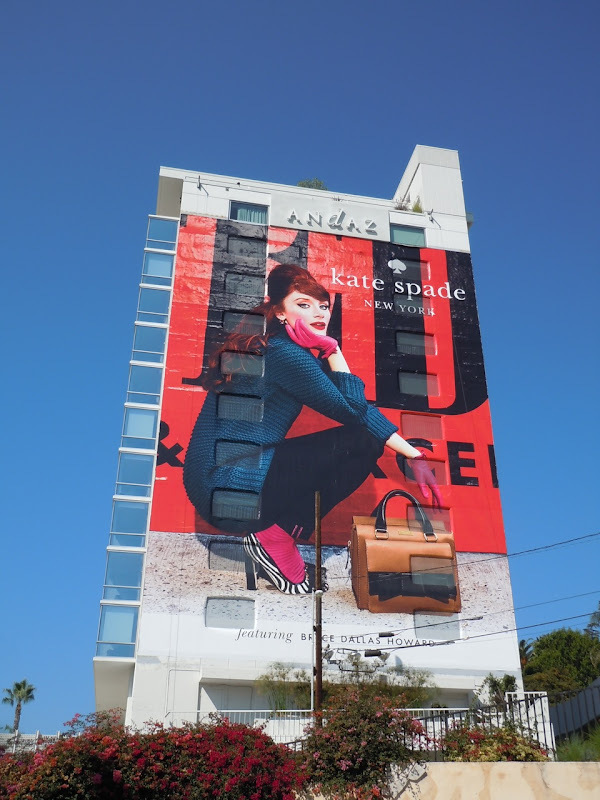 This giant bold and colourful billboard was snapped on the side of the Andaz Hotel on September 8, 2011. 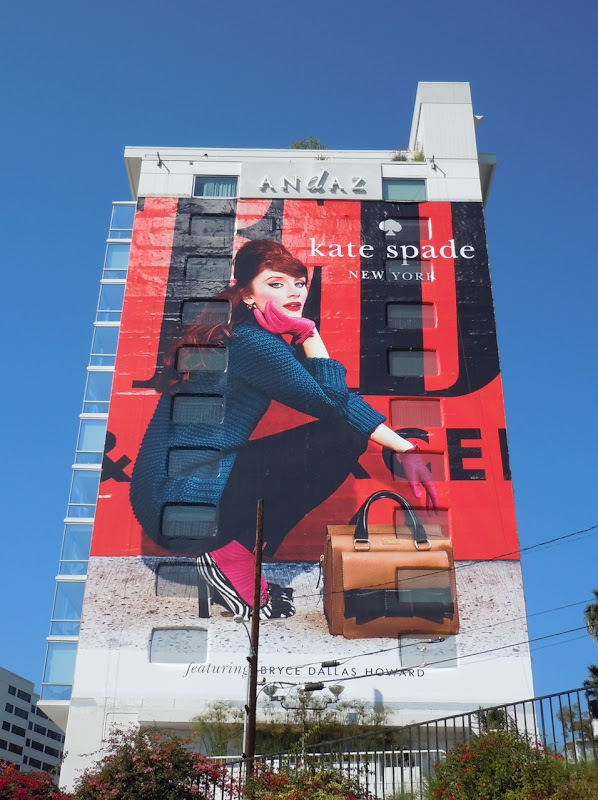 If you're a fan of the brand, check out the vibrant Kate Spade billboard from Spring 2011 and if you're a fan of the actress you can also see Bryce Dallas Howard in another super-sized billboard for The Help from earlier this year.